I know from experience time to plan a site still needs to occur no matter if the site is for a small local retailer or a huge national product supplier. Should the quality of the delivered website be compromised by clients unwilling to pay for planning? After I still want my clients large or small, big or little budget to have the best possible website and for me that means allocating time to planning. 1. Understand the potential users of the site, i.e. ask synonym . who, why and what. 2. Build up a list of everything the client is expecting the site needs to feature. 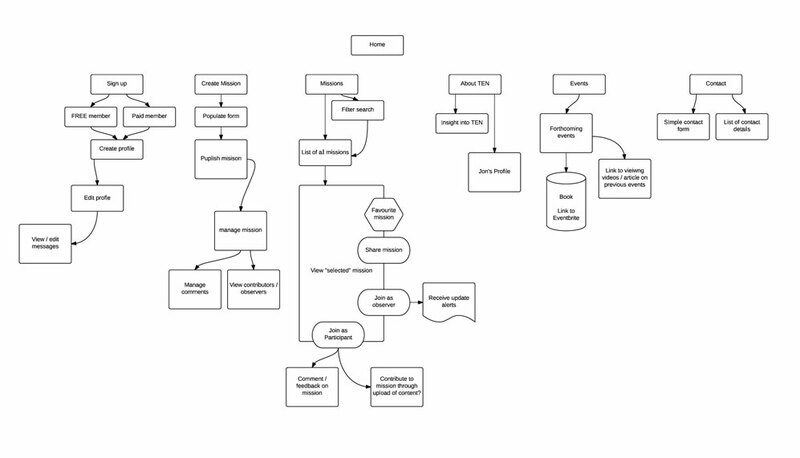 With the above actioned it means I can present the clickable wireframes based on the user flow planning and everything else I’ve been able to gather from the client. 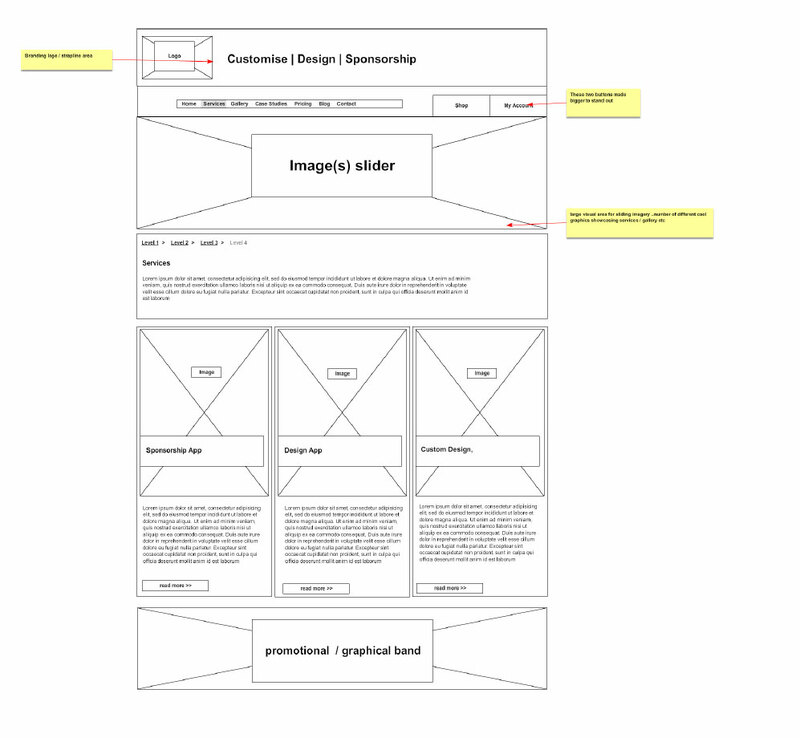 The next step of the project is design, albeit it’s own separate challenge this is made somewhat simpler by knowing exactly what is to be on any of the pages and what their usage is. This means that when I present clickable designed prototypes for the client it’s more about look n feel over features and content. This is a really great way of moving the project process in your way and by getting the UX & UI approved prior (unless you are very unlucky you shouldn’t have to really re-visit the previous stages) the focus will be on the lovely designs you’ve created and not “whats that there for?” In short, good planning and taking the time to really understand the sites most important requirements e.g. the end users needs should mean the design process is more enjoyable and far more accurate in the delivery. But what of this Iceberg theory I refer to? The above is all well and good, but what if a potential client wont allocate time & budget or doesn’t see the importance? How do you justify the importance of the planning and understanding for the project requirements without looking like your scouting for more budget? I’ve tried a few different ways, my favourite being a number of analogy’s like “an architect wouldn’t build a house without knowing how many bedrooms are needed” or “you wouldn’t buy drinks for a party without knowing how many people were likely to come” This seems to work on some levels, but something I’ve used in a few pitches and have now demonstrated in graphic form is that of an iceberg! 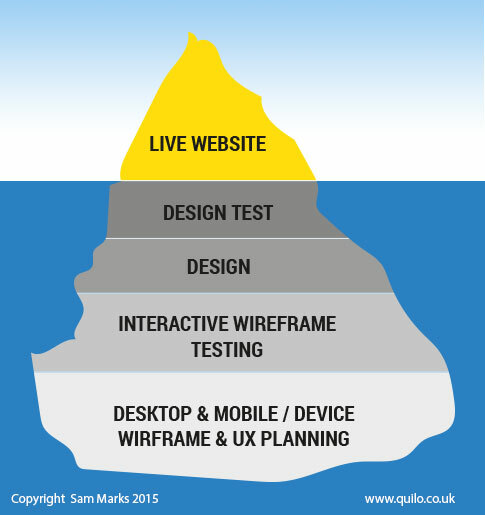 My thinking being that we all see the the top of the iceberg, from every angle it’s there in everyones sight – thats our live website. But what we don’t see is what’s under the water, which is an enormous mass of ice and for me that gives an ideal visual analogy of the planning thats needed behind the a well designed website, no one sees what went on below only whats on show. what is the cloud . For me it pretty much sums up a sites design, after all when we watch nature programmes we marvel at the giant icebergs but little consideration is given to whats below the water….the same applies for a website, if someone can easily navigate their way to their desired shoes and buy them they dont care about what went on below the design to make sure that persons route from homepage to check out was super easy…and nor do most people care about what an iceberg is hiding under the water …except for the people who’s job it is, in this case me, us the designers, UI & UX planners. A couple of months ago mid pitch to a room full of very senior staff members of a top private school I used this analogy when our timing plan was questioned, once I gave my theory it was met with a few nods and the person who objected to the need for such planning smiled and said ok, makes sense…..success? Well no, we didn’t win the pitch they went with someone cheaper however it was a minor victory in something I feel passionate about. My thoughts going forward are, Im still going to persist with my beliefs that the planning phase is as important no matter the size of the project, and any doubters I’ll continue to use my analogies, but now I have a nice graphic to point to when questioned. I don’t claim to be an expert, these thoughts are my own, are purely based on my experiences and not on scientific research or customer poll. ← Previous Post Should I stay or should I go….